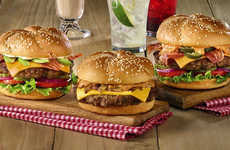 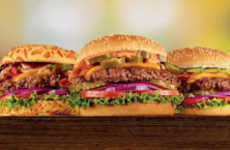 Calling all carnivores, Denny's has just debuted the new Meat Lovers Slam. 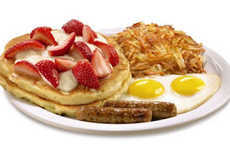 Packed with protein and a side of sweet pancakes, the new breakfast platter is the perfect way to fuel up for a busy day. 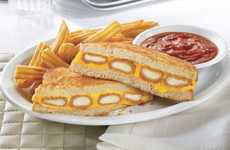 The new Meat Lovers Slam is the latest addition to Denny's value-friendly Slam lineup. 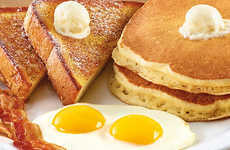 The meal itself features three strips of bacon, three sausage links, two fresh eggs, and two buttermilk pancakes. 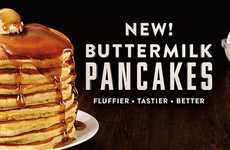 In other words, it's every classic breakfast food on one plate. 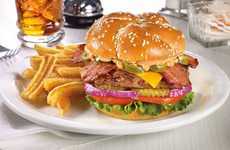 To satisfy the lunch and dinner crowd, Denny's is also debuting the new Southwest Chorizo Burger. 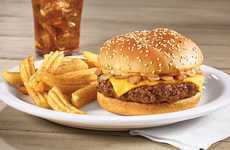 This spicy new burger features a beef patty blended with chorizo sausage topped with a slice of cheddar cheese, strips of bacon, Pepper Jack queso, and a fiery five pepper sauce.